Call now for more details at 301-501-4000! We make car buying easy! We have been providing quality vehicles at value pricing since 1968. Select from financing options available to qualified buyers! We accept trade-ins! We are conveniently located just 4 miles south of Interstate 68 on Route 219 South (33728 Garrett Highway) near Accident, Maryland. Our dealership is directly across from Northern Garrett High School. We are nestled in a rural area in the picturesque mountains of Western Maryland just 7 miles from Deep Creek Lake recreation area and Wisp ski resort. We are a convenient 2 hour drive from Pittsburgh, PA and Frederick, MD and just 3 hours from Baltimore, MD and Washington, DC. Morgantown, WV is just a 35 minute drive. Call now for more details! You can also go to our website www.artbutlerauto.com for more pictures and details. Call us at 301-501-4000 today to schedule your test drive. Family owned and operated since 1968. 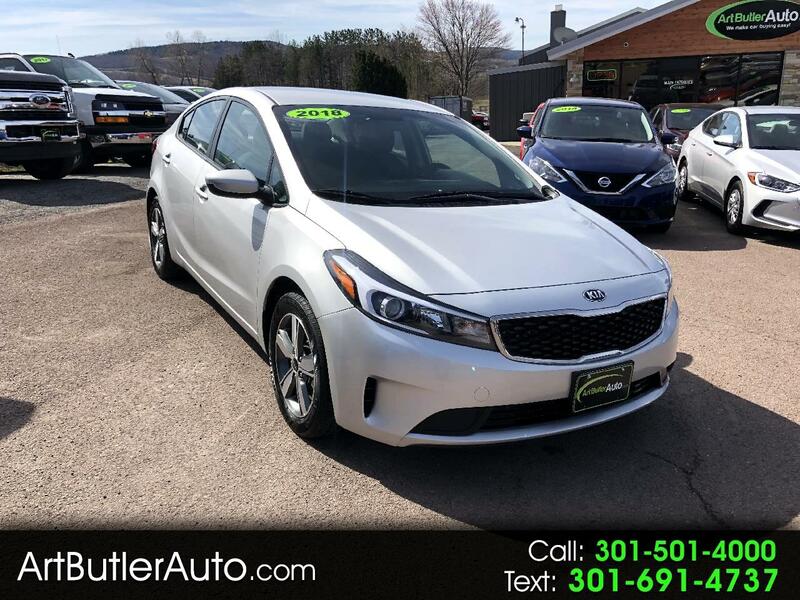 Message: Thought you might be interested in this 2018 Kia Forte. While every reasonable effort is made to ensure the accuracy of this information on this website, we are not responsible for any errors or omissions contained on these pages. Please verify any and all information contained herein with Art Butler Auto Sales.